SOUTHFIELD, Mich. – With the start of the school year right around the corner, both undergraduate and graduate students will return to their stress-filled college lives, which will likely include determining how to afford tuition. Tax laws can actually work in students’ favor, as long as they know what tax credits and deductions are available and which can yield the most in savings. It is important to understand the primary difference between a tax credit and a tax deduction. A tax credit reduces the amount of income tax owed, while a tax deduction reduces the amount of income that is subject to tax. Available education credits include the American Opportunity Tax Credit and the Lifetime Learning Credit. To qualify for these credits, a student, dependent or third party must pay the education expenses, the student must be enrolled at an eligible educational institution, and be listed on the tax return. Only one credit can be claimed for the same student in one year, and the AOTC cannot be claimed if the student was a nonresident alien for a long part of the year. Qualified education expenses can also be deducted for a student, spouse or dependent. The Tuition and fees deduction can reduce the amount of income subject to tax by up to $4,000. Education credits for expenses can also be deducted if eligible students pay qualified education expenses of higher education and the student is either yourself, your spouse, or your dependent for whom you claim an exemption on your tax return. The Tuition and Fees Deduction cannot be claimed if the filing status is “Married, filing separate,” another person can claim the student as a dependent, the modified adjusted gross income is more than $80,000 (or $160,000 if filing a joint return), or the student was a nonresident alien for any part of the year and did not elect to be treated as a resident alien. Student-activity fees and expenses for course-related books, supplies and equipment are included in qualified education expenses if the fees and expenses must be paid to the institution as a condition of enrollment or attendance. Scholarships are taxable or tax-free depending on the expense paid, and whether the student is a degree candidate and uses the scholarship to pay qualified expenses. Qualified education expenses include tuition and fees required to enroll at or attend an eligible educational institution and course-related expenses. Expenses that don’t qualify include room and board, travel, research, clerical help and equipment other expenses that are not required for enrollment in or attendance. 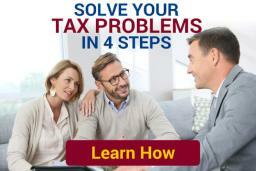 For more information about tax credits and deductions, please visit https://www.ayarlaw.com/back-to-school-tax-tips-education-tax-credits-and-tuition-and-fees-deductions/#more-3107.